Chicago Tries to Tackle Poverty in the Worst Way Possible. Here’s What They’re Doing. 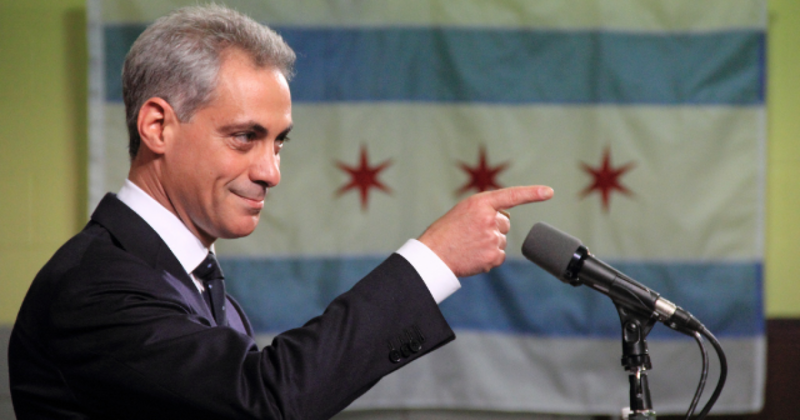 Chicago Mayor Rahm Emanuel is putting together a task force that will look into coming up with a “universal basic income” program in the city, which in all honesty, is likely a ploy by the mayor to solidify his progressive legacy in the city. Oh, and in case it isn’t obvious, this is a really, really horrible idea. First off, given how high taxation is in Chicago already, this program is not going to be sustainable. It’s going to create higher levels of poverty than it eradicates. There’s nothing free in this life. Nothing. Someone, somewhere, foots the bill. Always. Secondly, this strips folks incentive to work and better themselves even further than the current welfare system already does. Why work harder when you’re getting “free” money from your fellow tax payers? This isn’t going to tackle poverty. It’s going to create it. Ocasio-Cortez Says Middle Class Doesn’t Exist. The Numbers Tell a Very Different Story.